RØDE Presents The RØDELink Performer Kit Karaoke Edition, featuring all-new SYNTHPERSONATOR™ Voice Alteration Performance Algorithm. 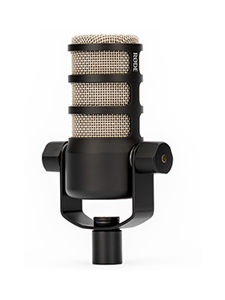 April 1st, 2018 - RØDE Microphones announces its latest release in the RØDELink Family: The Performer Kit Karaoke Edition. Featuring a high-quality handheld condenser microphone (TX-M2) and a desktop receiver (RX-DESK-K) fitted with the patented Synthpersonator™ Voice Alteration Performance Algorithm (VAPA-ware), the RØDELink Performer Kit Karaoke Edition is ideal for use in pubs, party venues, and at home. Building on stellar performance of the Performer Kit’s straight out-of-the-box, no-channel-selection-necessary simplicity, the RØDELink Performer Kit Karaoke Edition operates on the universally secure Series II 2.4GHz encrypted digital transmission, which is shared with many other wireless transmission networks such as WiFi. The device was built to automatically select and connect to the strongest signal, ensuring a secure and reliable connection every time. 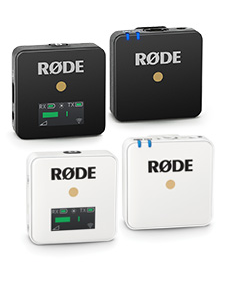 The revolutionary Synthpersonator™ VAPA-ware suspended in the unit’s software is unique to RØDE. This exclusive cutting-edge technology allows the user to digitally transform his or her voice in real-time, including options to adjust timbre, pitch correction, reverb, language adaptation, blue-note trills and more. There is even a Haptic vibration to tell you when to breathe. It also comes with pre-programmed voices for artists such as Sir Tom Jones, Brian Johnson of AC/DC, Elton John, Ed Sheeran, Macy Gray and many more. 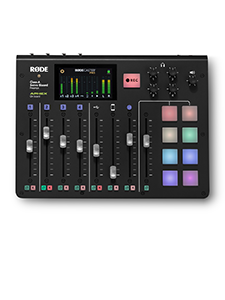 The RØDELink Performer Kit Karaoke Edition is completely compatible with the rest of the RØDELink Range, providing users with the freedom to mix-and-match RØDE’s wireless microphones and gear. This RØDELink system has been tested and approved for use with up to 8 kits operating in a common area. “At RØDE, we’ve always focused on products for professional and artistic applications, such as filmmaking, live performance and studio recording,” says Damien Wilson, CEO of RØDE and The Freedman Group. The Performer Kit Karaoke Edition comes with TX-M2, RX-DESK-K, Synthepersonator™ VAPA-ware onboard, LB-1 Lithium-Ion Rechargeable Battery, microphone clip, microphone case and Micro USB Cable and includes a 2-year extended warranty*. Now available at authorised RØDE dealers*. For more information please visit www.rodelink.com. *Not at all available at authorised RØDE dealers.